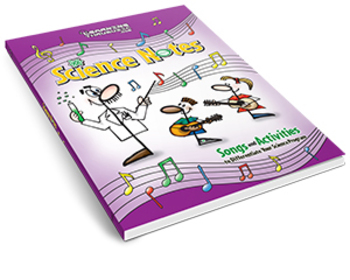 LearningThruMusic presents Science Notes, a resource of 45 professionally produced science songs and accompanying activities and assessments for the elementary science classroom. "Teachers who are looking to blend science, language arts, drama, dance, and music in order to bring their science program to life should look no further than Science Notes!" Get your primary students singing about science by introducing the hit "Need for Seeds" to your science program. This song will teach students about the journey of a seed and what seeds need to grow! Get kids moving and singing with this country inspired song from the LearningThruMusic library!